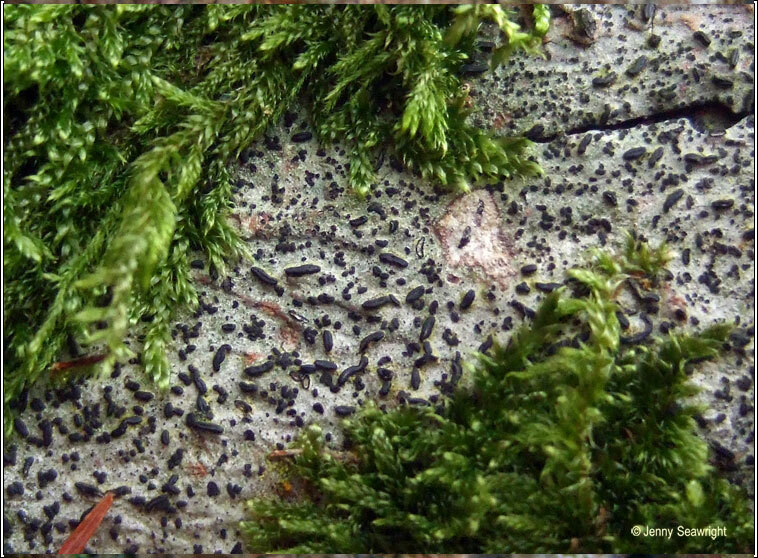 Whitish or grey-green thallus, sometimes barely developed. 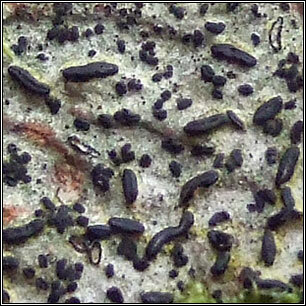 The clusters of scattered prominent, elevated, short apothecia are 0.5-2.2mm in length, usually unbranched. 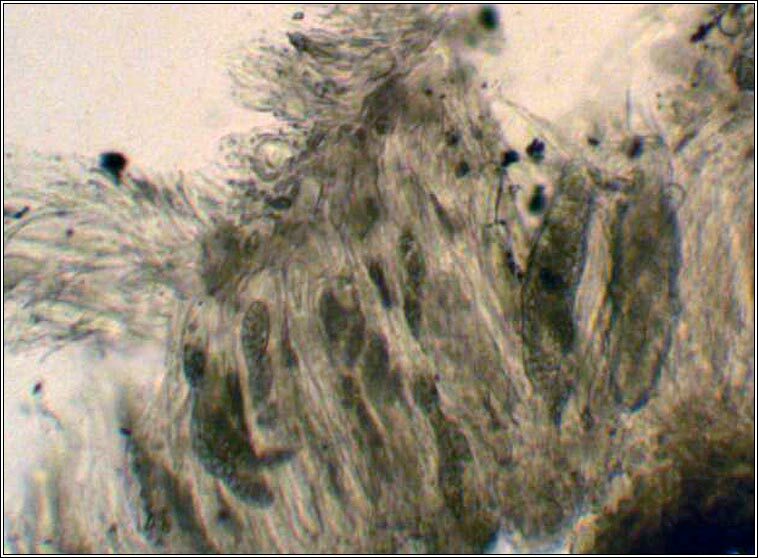 True exciple is well developed, +/- shining, sometimes white-pruinose near disc, continuing below hymenium. Discs are narrow and slit-like. 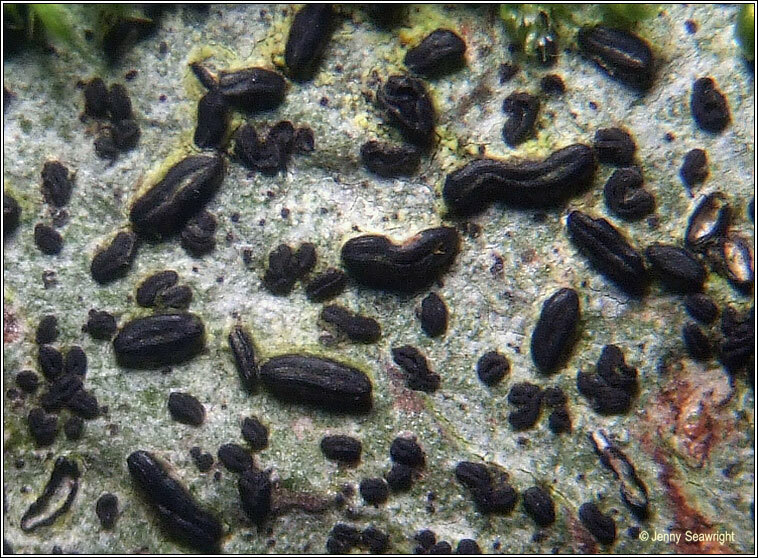 Pycnidia are occasional. 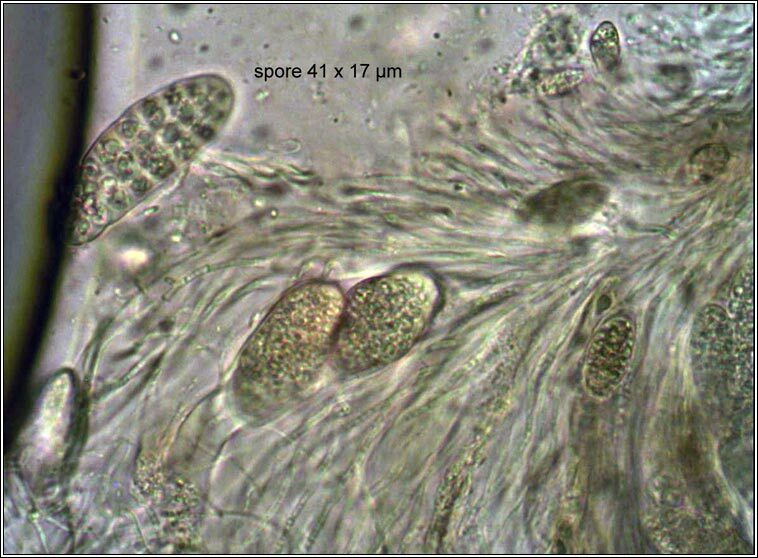 Asci 8-spored, the spores muriform (usually with 7 transverse septa) 30-45 x 15-18 µm. Microscope photographs below. 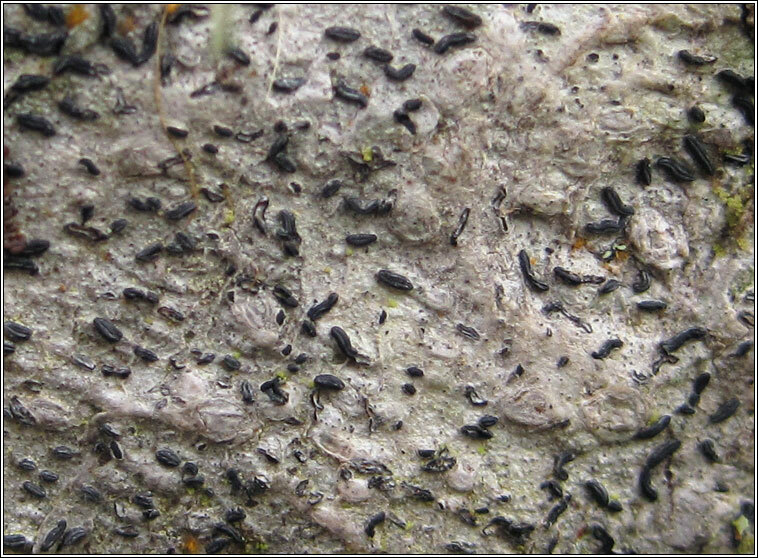 Occurs on smooth, leached bark of Holly, young Oak and Rowan in damp, sheltered, upland woods. Most frequent in western Ireland.